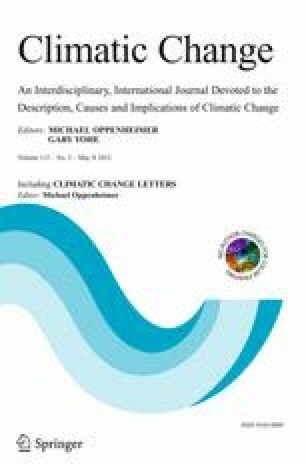 Realizing the error characteristics of regional climate models (RCMs) and the consequent limitations in their direct utilization in climate change impact research, this study analyzes a quantile-based empirical-statistical error correction method (quantile mapping, QM) for RCMs in the context of climate change. In particular the success of QM in mitigating systematic RCM errors, its ability to generate “new extremes” (values outside the calibration range), and its impact on the climate change signal (CCS) are investigated. In a cross-validation framework based on a RCM control simulation over Europe, QM reduces the bias of daily mean, minimum, and maximum temperature, precipitation amount, and derived indices of extremes by about one order of magnitude and strongly improves the shapes of the related frequency distributions. In addition, a simple extrapolation of the error correction function enables QM to reproduce “new extremes” without deterioration and mostly with improvement of the original RCM quality. QM only moderately modifies the CCS of the corrected parameters. The changes are related to trends in the scenarios and magnitude-dependent error characteristics. Additionally, QM has a large impact on CCSs of non-linearly derived indices of extremes, such as threshold indices. The online version of this article (doi: 10.1007/s10584-011-0224-4) contains supplementary material, which is available to authorized users. The ENSEMBLES data used in this work was funded by the EU FP6 Integrated Project ENSEMBLES (Contract number 505539) whose support is gratefully acknowledged especially the CCLM simulations provided by the ETH Zurich. We furthermore acknowledge the E-OBS dataset from the ENSEMBLES project and the data providers in the ECA&D project (http://eca.knmi.nl) as well as the EU FP6 project CLAVIER which partly funded this study.